Dr. Huckaby is board-certified in pain medicine, addiction medicine and anesthesiology. In addition to running the Orlando Recovery Center, Huckaby is the chairman of committees for the International Doctors in Alcoholics Anonymous. Dr. Timothy Huckaby is triple board certified in pain medicine, addiction medicine and anesthesiology. 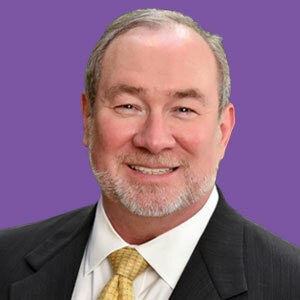 He is the medical director of the Orlando Recovery Center, the president of the Florida Society of Addiction Medicine and the former chairman of committees for the International Doctors of Alcoholics Anonymous. Huckaby received his doctorate from the Louisiana State University School of Medicine, where he also completed his residency in anesthesiology and was named chief resident. Huckaby went on to receive training at Brigham and Women’s Hospital, an affiliate of Harvard Medical School. While at Brigham and Women’s, he served as the chief fellow in obstetric anesthesiology. After a career as an anesthesiologist, Huckaby completed a fellowship in addiction medicine at the University of Florida. While at UF, he earned a certification in transcranial magnetic brain stimulation. As an assistant clinical professor, he treated individuals with substance use disorders and pain disorders. Huckaby also served the UF Health Florida Recovery Center as the director of addiction and pain medicine and the director of the intensive outpatient chemical dependency treatment program. He is the author of multiple textbook chapters, peer-reviewed scientific papers, training manuals and clinical practice guidelines.